In a positive move for the cryptocurrency market, Taiwan has announced that it won’t be banning digital currencies like bitcoin. News of what Taiwan intends to do avoids the harsher steps taken by China and, more recently, South Korea. Instead, Taiwan is copying the move by Japan by embracing the digital currency market. The news was announced by Taiwan’s Financial Supervisory Commission chairman Wellington Koo. During a joint session of parliament and cabinet, Woo stated that Taiwan would not regulate against the industry. Instead, he pledged to leave the door open for development. Kuomintang Party (KMT) congressman Jason Hsu questioned Woo on the country’s position. However, Woo agrees with Hsu and believes that the technology presents a huge economic opportunity for Taiwan. The political party has long held a pro-fintech stance. If passed, it would establish a regulatory fintech sandbox for research into digital currencies and the blockchain. Unlike Japan, Taiwan’s venture into the cryptocurrency market is relatively new. 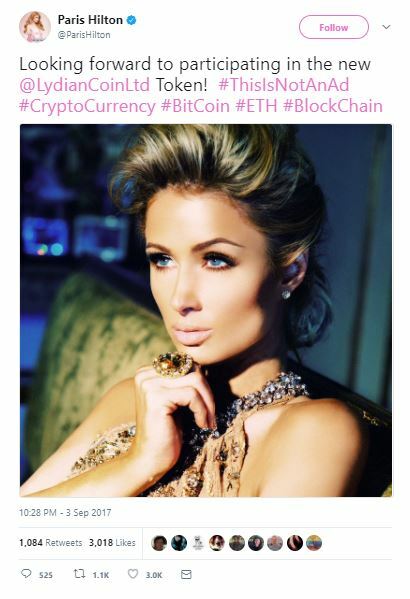 Despite this, though, it has a highly active crypto scene. This can be seen by the fact that MaiCoin, Taiwan’s only digital asset exchange platform, has around 25,000 users. Yet, the country is eagerly working at building the market. So much so, that AMIS, a Taipei-based blockchain consultancy, is attempting to get financial institutions to join a private blockchain consortium proposition. AMIS is a sister company of MaiCoin. At present, only Taipei Fubon Bank and Taishin International Bank have joined while Taiwan’s Industrial Technology Research Institute is an investor; however, it’s still early days. Hsu knows that Taiwan has a long way to go before it can catch up with the likes of Japan. Japan has been in the market since the early days with its first digital currency exchange originating in 2010. Not only that, but the yen is a free-floating currency, whereas the Taiwan dollar is tied to the U.S. currency. Taiwan realises that that isn’t going to stop them embracing the industry. Compared to countries that are shutting down cryptocurrencies, like bitcoin, Taiwan is remaining competitive in a growing sector. At the beginning of September, Chinese authorities announced they would be banning initial coin offerings (ICOs). This was shortly followed by the decision to halt domestic digital currency exchange trading. 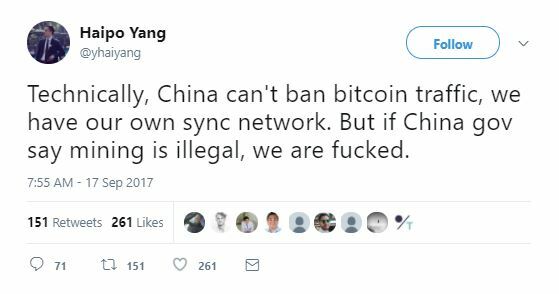 As a result, several prominent bitcoin exchanges – ViaBTC, BTCC, OKCoin, Huobi and Yunbi – announced they would be halting mainland services. ViaBTC and BTCC has since ceased operating. However, the remaining three aren’t expected to stop functioning until the end of October. Naturally, news of this caused market prices to drop. On the 15th September, bitcoin was trading at $2,947. 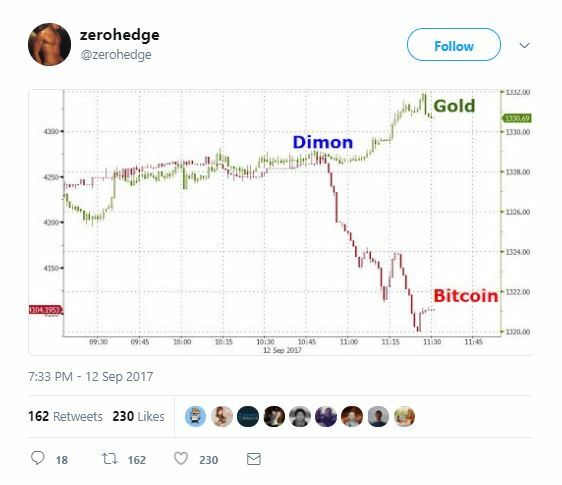 This was a significant fall considering it had achieved an historic high on the 2nd of September when it scaled $5,000. Since then, however, the market has steadily recovered. At the time of publishing, on the 6th October, bitcoin’s price is trading at $4,364, a 1.13 percent rise in 24 hours. Over seven days its value has risen by 4.76 percent. It market cap is worth $72.4 billion. Whether Chinese authorities lift the ban on domestic trading is not known. However, it signals the country’s determination to control money that is flowing in and out of the country. The announcement by South Korea to ban ICOs may not have been considered that surprising. Prior to stating its position, on the 4th September, South Korea’s digital currency task force had discussed increasing regulatory oversight on the trading of cryptocurrencies. The report added that authorities will ‘punish’ ICO fundraising platforms. On the 29th September, the actual banning of ICOs in South Korea was made official. At a meeting the country’s financial regulator discussed digital currencies. One of the topics pertained to initial coin offerings. Kim Yong-bum, the vice chairman of the FSC gave a speech and said that all ICOs were prohibited in all forms, including securities. Other countries that have issued guidelines on ICOs include the U.S. and Singapore. In July, the U.S. Securities and Exchanges Commission (SEC) applied securities laws to the issuance of ICO tokens. Whereas, the Monetary Authority of Singapore (MAS) clarified its position on ICOs in August. For many authorities there is the risk that ICOs are being employed for illegal activities. One of its concerns relates to ‘provisions on combating money laundering and terrorist financing’ and other areas. Whereas, the chief executive of the Hong Kong Monetary Authority (HKMA) believes that digital currencies are linked to money laundering. This is an opinion shared by Larry Fink, chairman and CEO of BlackRock, the world’s largest investment management corporation. European banks are interested in cryptocurrencies like bitcoin, but they don’t believe the currency is likely to become accepted, according to the chairman of UBS. The head of the Swiss global financial services said that bitcoin’s use to banks is limited. This was due to its volatility and lack of control over its supply. He added that the bank doesn’t use or trade in bitcoin. 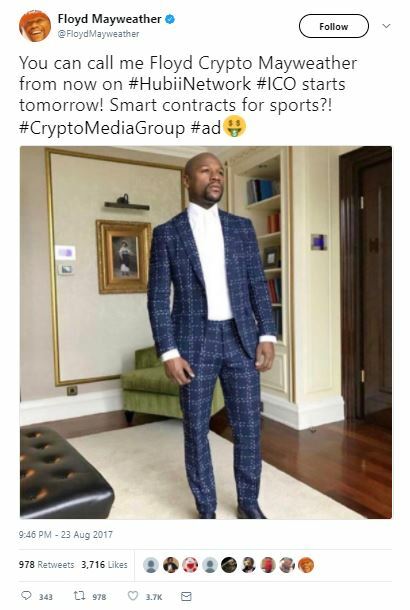 However, it’s interested in the blockchain. UBS is reportedly discussing with other central banks about the possibility of creating a ‘utility settlement coin.’ Apparently, this would be a collateralised cryptocurrency that banks could use to pay one another or purchase securities. Expected to launch next year, subject to support from central banks, other financial establishments such as HSBC, Deutsche Bank and Barclays have demonstrated an interest in the project. For many banks, though, cryptocurrencies are a convenient way to do settlements. That’s certainly the thinking of Francisco Fernandez, founder and chief executive of Avaloq, which provides cloud-based software and services to banks. Interestingly, these comments from UBS come at a time when the International Monetary Fund (IMF) chief said that it would be ‘unwise‘ for banks to dismiss cryptocurrencies. As a result, digital currencies may become a viable alternative for countries that have weak economies. Furthermore, they present an ideal avenue for acceptance rather than taking on the U.S dollar or the British pound. The digital currency market has expanded exponentially. 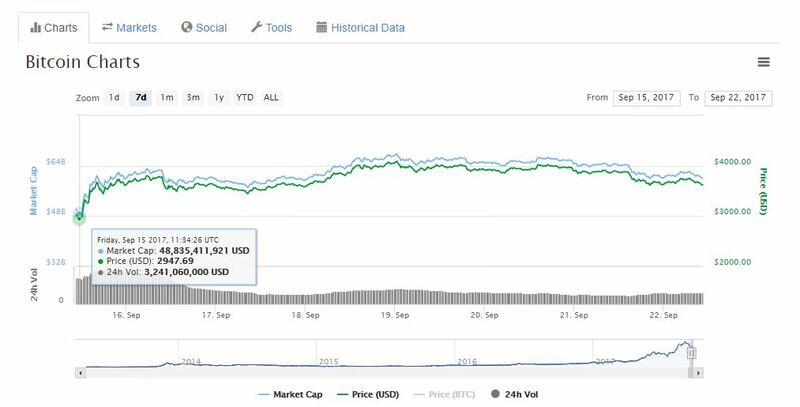 So much so, that at the time of publishing, on the 3rd October, it is now worth $143.6 billion, according to CoinMarketCap. Yet, the highest recorded value was when it within touching distance of $180 billion at the beginning of September. This was pushed alone by bitcoin’s rise to above $5,000 for the first time. However, it’s because of the rapid rise that many are calling for the market to be regulated. This can be seen by the fact that Japan’s Financial Services Agency (FSA) is to monitor bitcoin exchanges from this month. In a report, this move is being undertaken to ensure the exchanges have the correct internal systems in place. If customer assets aren’t protected then on-site inspections will be carried out by the FSA. The volatility of market prices are of particular concern to a former commissioner of the Commodity Futures Trading Commission (CFTC). Last month, Bart Chilton said that bitcoin’s price changes so much because of two things: it’s not like a stock and it’s not regulated. However, according to him it’s not too late for solutions to be found. He claims that ‘visionary leadership is needed,’ to stop governments from banning or over-regulating the market. At the time of publishing, the prices of cryptocurrencies are experiencing a drop in values. Bitcoin’s price is currently valued at $4,262, a 3.39 percent drop in 24 hours. It does, however, retain a 8.46 percent rise over seven days. 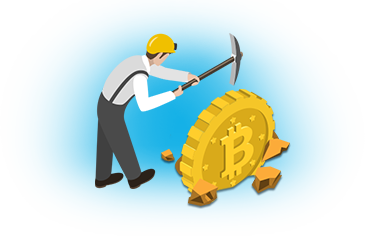 However, industry insiders claim that bitcoin is heading for $6,000 by the end of the year. In a recent report, experts claim that investors should prepare themselves for further volatility. In November, the community is expected to see another fork to the network through the creation of SegWit2x. Just like when bitcoin cash was created there may be some volatility as traders weigh the impact. Ethereum is trading at $290, a 2.67 percent drop over 24 hours. It continues to evade the $300 mark and is currently valued at $27.5 billion. Of the top 10 cryptocurrencies, the biggest 24-hour can be seen from 9th-placed IOTA. As can be seen from the graph below it saw a drop of nearly 11 percent.